Trying to see the best of Rome in a day is no easy task: the Eternal City is an enormous, layered, and deeply complex city. 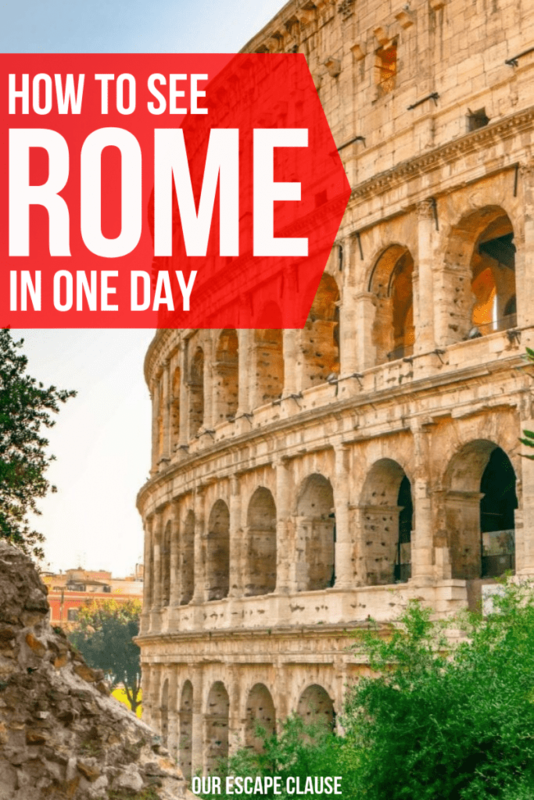 With a little advance planning, though, you’ll be surprised at just how many iconic highlights and beloved monuments you can cover with just one day in Rome! Rome is one of our very favorite cities in the world, and these days we almost never leave without having at least a rough idea of the next time we’ll see the city. This tried-and-true path is one that we’ve walked ourselves many times, admiring everything from well-known sights like the Trevi Fountain to little-known side streets along the way. We’ve put together this guide to seeing Rome in one day to help ensure that you fall in love with this magnificent city as much as we have–and hopefully make sure that you leave, like us, already scheming about how you can return. This is not a leisurely itinerary–while we generally advocate for not packing your days too full when you travel, that’s just not an option with only one day in Rome: there’s too much to see to justify wasting even a second (also, espresso helps). Here’s how to see Rome in a day, from someone who utterly adores it. Want to see the Vatican Museums? Start (bright and early) at the Colosseum. What better spot to start your one day in Rome than at the Colosseum, easily the most recognizable structure in the city? 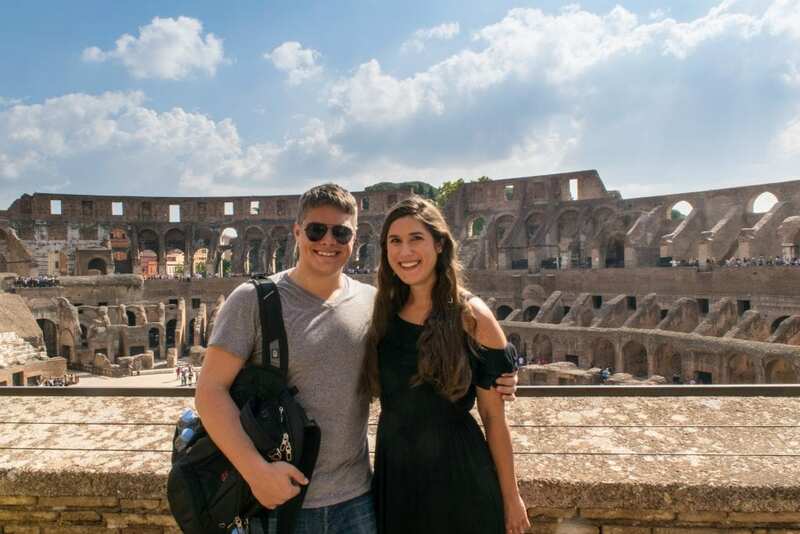 Seeing the Colosseum for the first time is a truly unforgettable experience–I’ll never forget walking out of the Colosseo metro stop for the first time and being struck by the enormity and beauty of the ancient structure that was right there in front of me. Be sure to buy your skip-the-line ticket in advance to ensure that you don’t waste a moment of your one day in Rome by standing in line! The ticket covers your entrance into the Roman Forum and Palatine Hill as well. Book authorized skip-the-line tickets to the Colosseum here! Pay a visit to the Roman Forum. Once the epicenter of political and social life in Ancient Rome, it’s incredibly interesting to wander through what is, effectively, the remains of a city center. 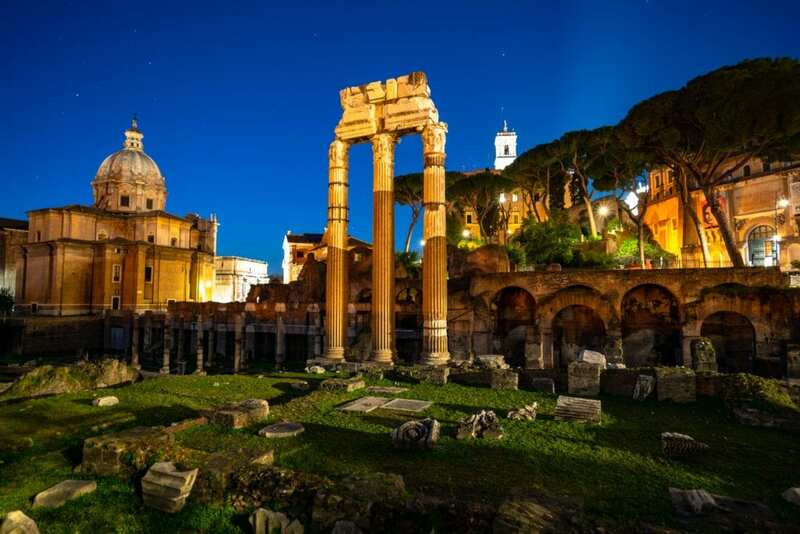 It’s also surprisingly easy to imagine the area as it once was–standing inside the Roman Forum is quite the immersive experience, and should definitely be part of your quest to see Rome in a day. Within the Roman Forum sits Palatine Hill, where a short climb will reward you with even more ruins and incredible history, but also gorgeous views of the Roman Forum, the Colosseum, and the city itself–including a view of St. Peter’s Basilica sitting in the distance. The climb is easy, short and well worth the time spent. Stroll to the Trevi Fountain. It takes a little under half an hour to stroll from Palatine Hill to the Trevi Fountain, but there’s plenty to admire along the way: definitely be sure to take note of (frankly it’s hard to miss it) the impressive Altare della Patria in Piazza Venezia. If you’re making good time, (very) short detours will take you to Piazza Campidoglio, one of my personal favorite piazzas in Rome (it was designed by Michelangelo himself), and Galleria Sciarra, an often-overlooked Art Deco masterpiece near the Trevi Fountain that is free to enter, takes very little time to visit, and is generally devoid of crowds. 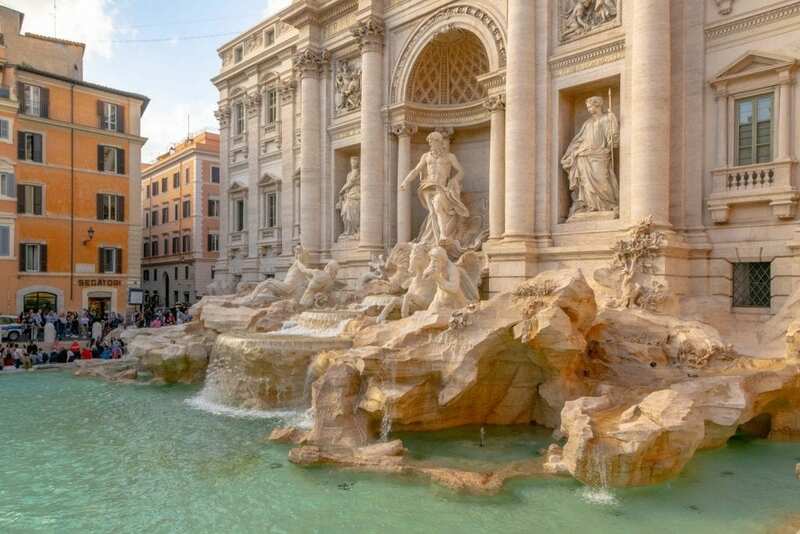 Once you’re at the magnificent Trevi Fountain, be sure to throw a coin into the fountain by tossing it from your right hand over your left shoulder to ensure that you return to Rome! 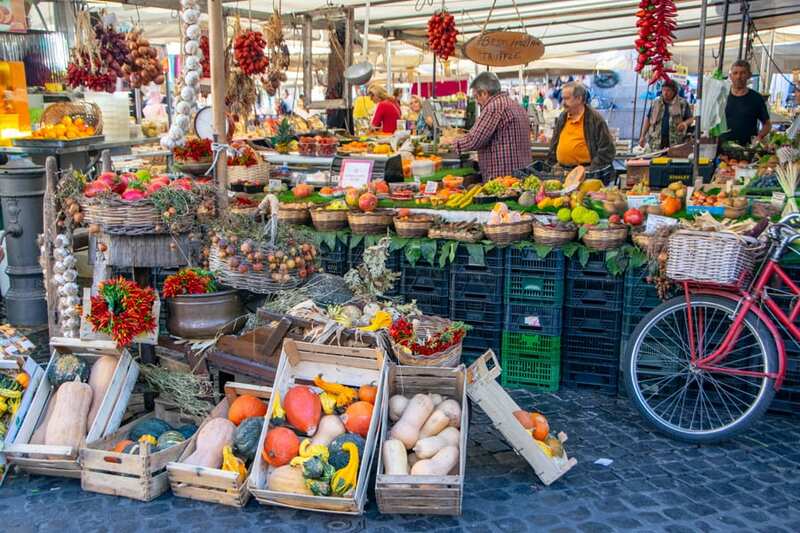 Pay a visit to Campo de’ Fiori. This market square may be touristic, but it’s also beautiful, bustling, and worth stopping by during your day in Rome. Here, you can find everything from fresh fruits, flowers, and vegetables to local olive oil and wine. 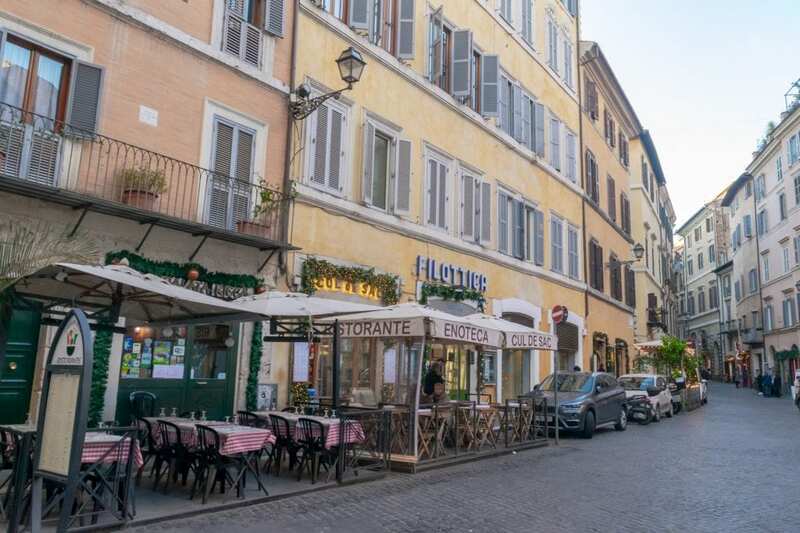 Of course, if you choose to purchase any foodie souvenirs or a meal at the market, you will pay a slight upcharge–but if you’re ready for lunch, we did once have tasty, if somewhat overpriced, pasta carbonara at La Carbonara on the edge of the Campo de’Fiori. 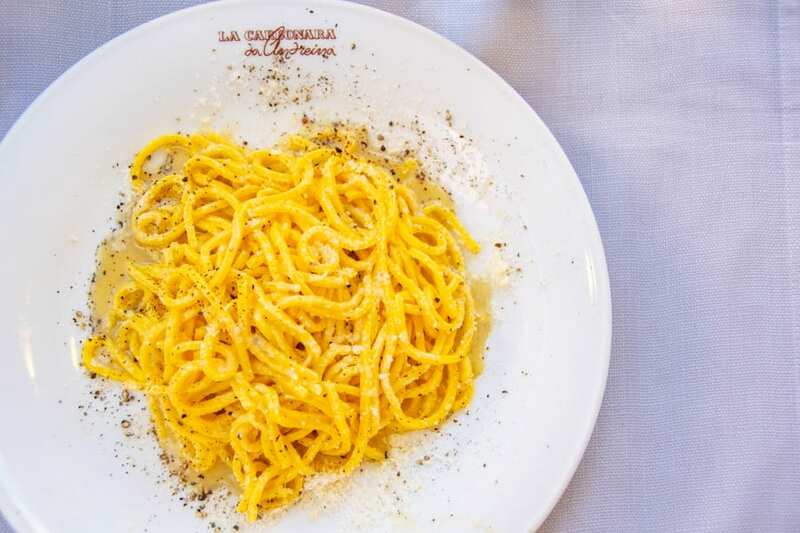 Also, side note: whether you choose to eat here or at a different point in the day, we highly recommend ordering one of the four pastas Rome is famous for when you sit down for lunch: carbonara is our personal favorite, but cacio e pepe, gricia, and amatriciana are delicious as well. Walk over to Piazza Navona. 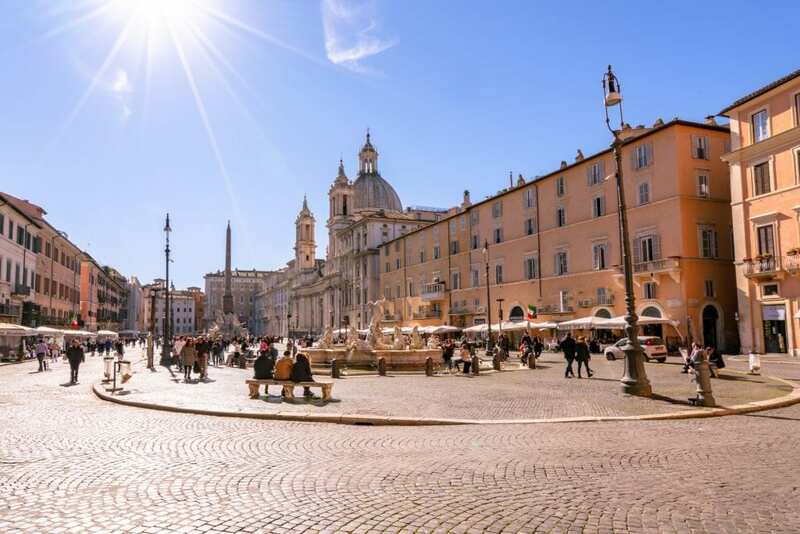 Dating back more than 2,000 years and dominated by three stunning fountains, Piazza Navona has played host to everything from markets to public water parties in its long life–and right now, it’s best known for being one of the most beautiful and popular piazzas for tourists to visit in Rome. This is the perfect time for a coffee or gelato break (or both, why not? )–if you can find a spot, consider enjoying your gelato perched on the edge of one of the fountains! Ah, the mysterious Pantheon: as a Roman-temple-turned-church, the famous Pantheon is home to many mysteries, such as exactly how old it is and what it is made out of! We love wandering around and gawking at the elaborate and gorgeous Pantheon, and even after seeing it many times, we still make a point of dropping by almost every time we’re in Rome. Plus, unlike many places in Rome, this one is free to enter, so there’s no need to break out your wallet. 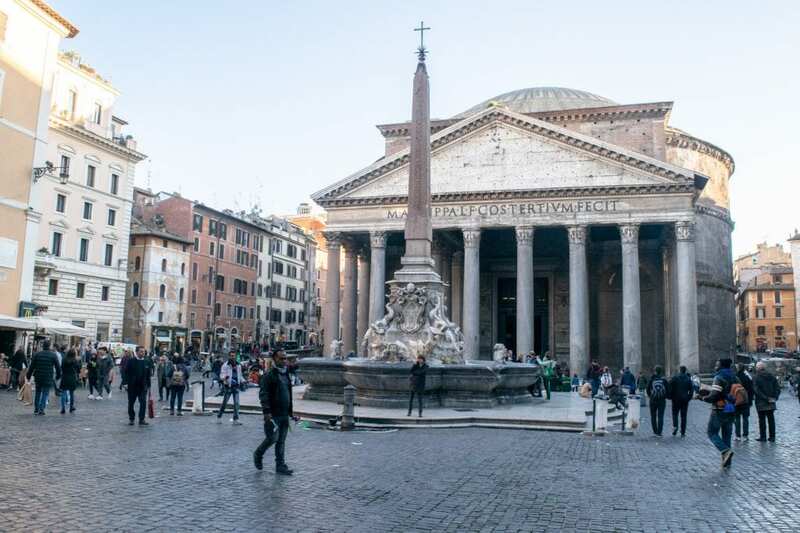 The Pantheon sits inside the beautiful Piazza della Rotonda, and while you’re there, be sure to take a few moments to admire the piazza itself. Make your way to Castel Sant’Angelo along Via dei Coronari & the Ponte Sant’Angelo. 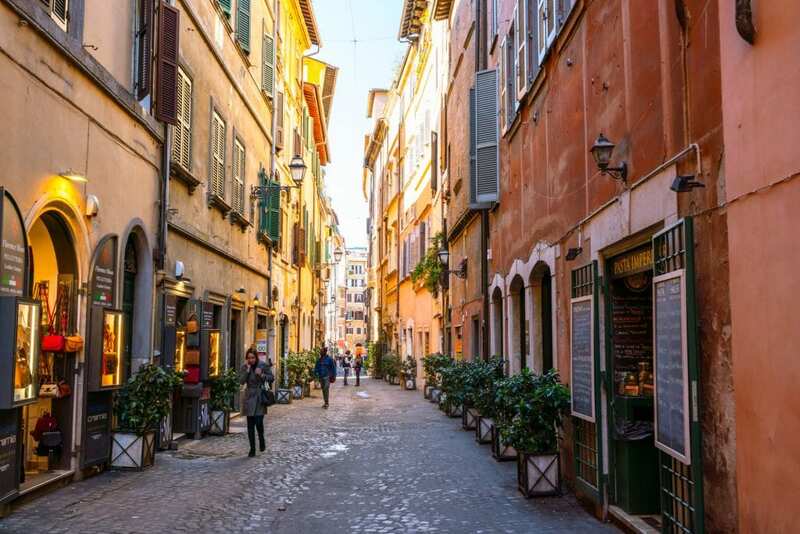 Beautiful Via dei Coronari runs through the heart of Rome’s Centro Storico neighborhood, and walking down it while snapping photos is easily one of our most recommended things to do with one day in Rome. Take Via dei Coronari all the way to the Ponte Sant’Angelo (you’ll need to make a quick right turn when you get close off Via dei Coronari when you get close), where you can cross the angel-lined bridge to the Castel Sant’Angelo, one of Rome’s most recognizable buildings, and leave Centro Storico. Head over to St. Peter’s Square. Depending on what time it is by the time you reach St. Peter’s Square, you may have time to just check out the square, to check out the square and visit the interior of St. Peter’s Basilica, or to do both and also climb to the top of the dome for an unforgettable view over St Peter’s Square (if you don’t mind tight spaces and have the time, the climb is definitely worth the 8 Euro price tag). Regardless, just by stepping in the square you can officially say you have visited Vatican City! The basilica itself is free to enter, though there is a dress code that is enforced (no shoulders and no knees). The line in St. Peter’s Square is for security, and it goes surprisingly fast. If you want to climb the dome, you’ll buy tickets inside the basilica, after you pass through the line. Enjoy the view from Ponte Umberto. At this point, you’re getting ready to close out the day–but on your way to the final stop of your quest to see Rome in a day, be sure to drop by Ponte Umberto and admire the iconic view of the Ponte Sant’Angelo, Castel Sant’Angelo, and the dome of St. Peter’s Basilica all grouped together. This is a fantastic place to watch the sunset in Rome, so depending on what time it is when you arrive here and whether you want to try to make it to the Spanish Steps before it gets dark, you can consider sticking around for sunset! 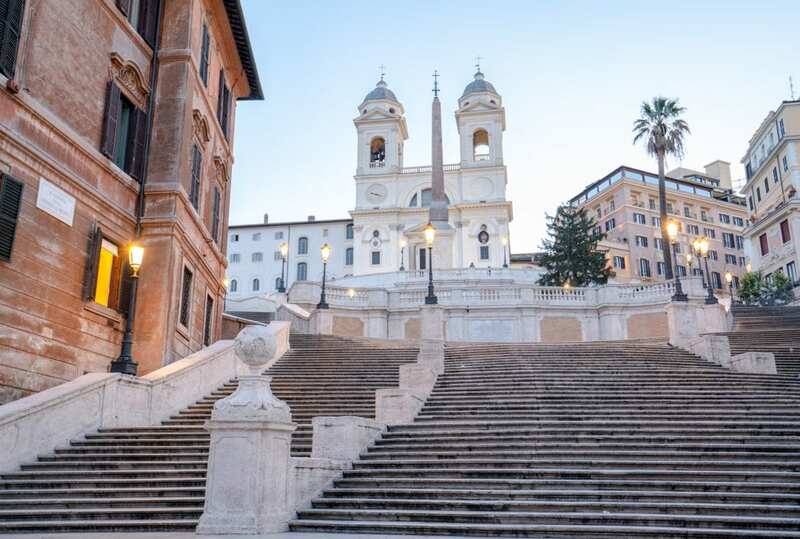 Wander over to the Spanish Steps to close out your one day in Rome. There are two reasons to finish your day in Rome at the Spanish Steps: first, they’re beautiful and absolutely worth seeing while in Rome, and second, the Spagna metro stop is right by them, so you can easily navigate to wherever you need to go in Rome (airport, Termini, hotel, etc) from there! 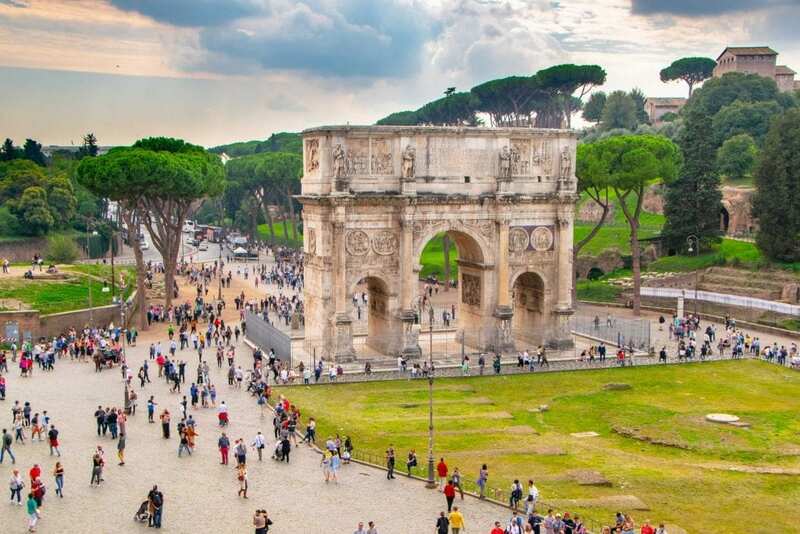 There’s no getting around it: one day in Rome simply isn’t long enough to visit both the Colosseum + Roman Forum + Palatine Hill and also tour the Vatican Museums (home to, among many other treasures, Michelangelo’s Sistine Chapel) unless you forgo basically everything else–and we don’t recommend that! 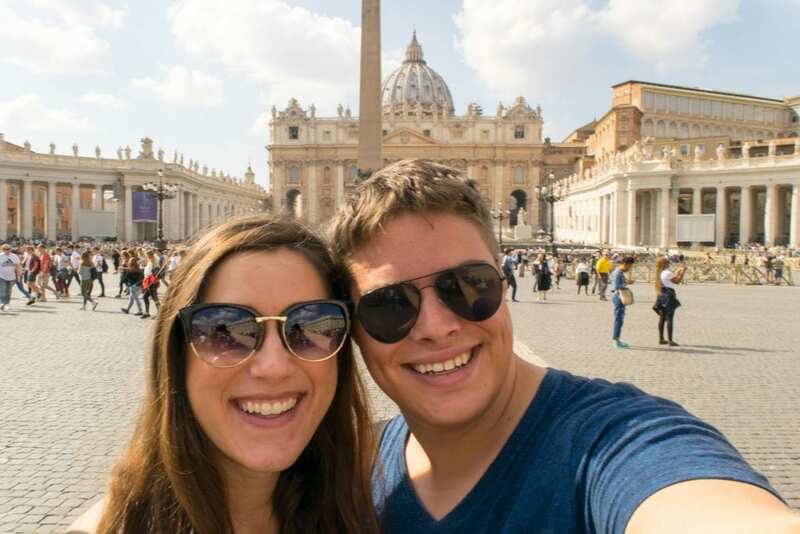 By visiting St. Peter’s Square and Basilica, this itinerary does allow you to step foot inside Vatican City–but not for long. The main reason we prioritized the Ancient Rome sights over the Vatican Museums? They take less time and cost less money. They’re also the sights we personally prefer and are great for getting that oh-wow-I’m-in-Rome feeling–but just because it’s what we think, doesn’t mean you have to agree. If you’ve long dreamed of visiting the Vatican Museums, you should absolutely go! Structuring a visit to Rome is highly personal, so if that’s the sight you can’t live without, go ahead and swap a visit to the Vatican Museums for touring the Colosseum and Roman Forum. 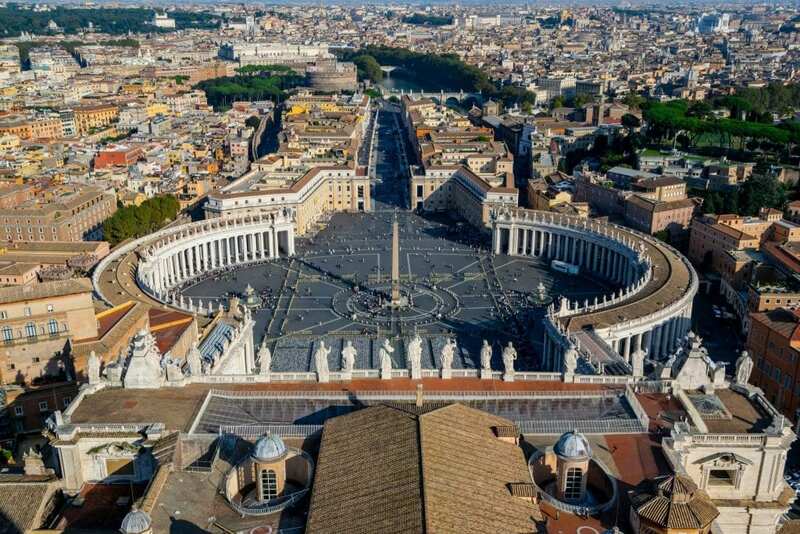 Your best bet for seeing the Vatican Museums and also still having time to cover the bulk of the sights on this one day Rome itinerary is to buy first-entry tickets and visit the Vatican Museums before they even open for the day. From there, you can essentially reverse this itinerary, prioritizing sights and skipping what you must depending on what time it is when you finish visiting the museums. Alternatively, if you’re lucky enough to be visiting Rome on a Friday, the Vatican Museums are open at night! 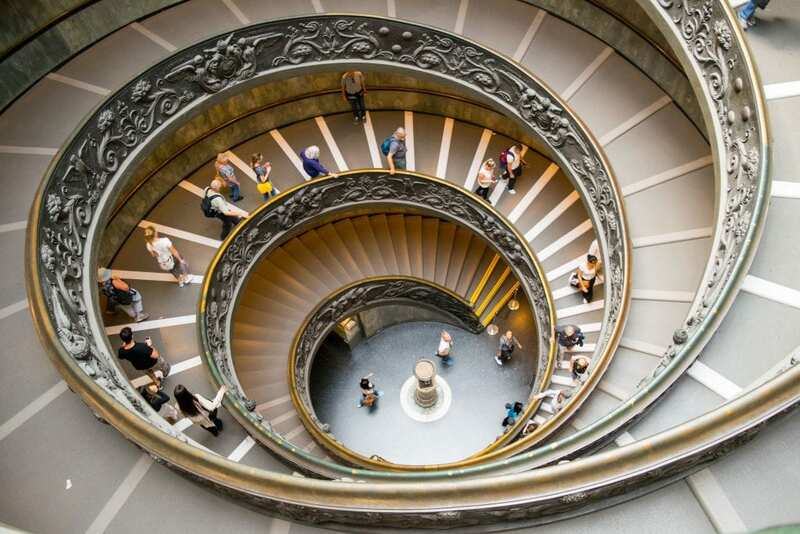 Want to squeeze in a visit to the Vatican Museums? Use first-entry tickets! 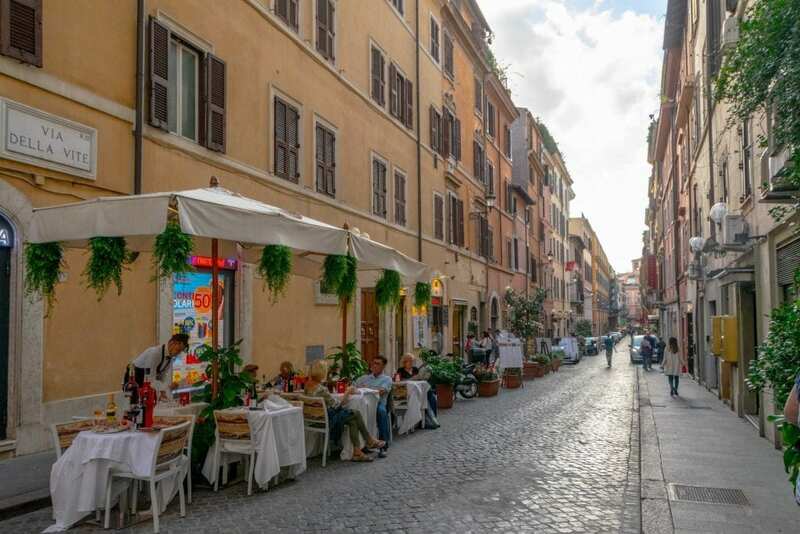 You may or not be spending the night in Rome during your short visit, but just in case, here’s what you need to know about where to stay: for such a quick trip, staying centrally and close to a metro stop is ideal. Here are a few ideas at all price points. The Wesley — We adore this hotel! You can’t ask for a better location for exploring Rome, as it literally overlooks the Castel Sant’Angelo and is a short walk away from all the major Centro Storico sights. It is a bit of a hike to a metro stop–you’ll probably need to take a taxi when you arrive/leave with luggage–but the location made it worth it for us. For a mid-range property, The Wesley is a fairly simple one–expect small and extremely simple rooms, and shared bathrooms for some rooms. Essentially, The Wesley as a guesthouse floats somewhere between budget and mid-range, with a luxury-status worthy location. Because of the fantastic combination of more affordable rates and a fabulous location, The Wesley sells out fast–if you want to stay there and see it’s available on your dates, we recommend booking immediately! Check rates & book your stay at The Wesley! We’ve structured this guide to seeing Rome in a day to be extremely walkable–other than getting to and from the center to head to either the airport or your hotel, you shouldn’t need any transportation other than your two feet to navigate your one day in Rome (any mobility issues aside, of course). To start your day in Rome, take Line B to the Colosseo metro stop. We’ve intentionally ended this guide at the Spanish Steps because the metro stop Spagna is located right next door, making it easy to navigate back to where you are staying or to the airport after you’re finished sightseeing. If you’d like to take a taxi in Rome, we highly recommend the using MyTaxi, which functions as a sort of local ridesharing service and takes a lot of the stress and hassle out of taking taxis in Rome. We’ve used it many times and never had an issue (negotiating with taxi drivers on our own in Rome, however, is a different story). Get a very early start. The Colosseum opens at 8:30 AM, and we recommend showing up at least a few minutes early to snap photos of the exterior (turn left after exiting the Colosseo metro stop and look for the steps on your left when you’re walking parallel to the Colosseum to find the iconic photos-from-the-wall spot). And, of course, before you even head to the Colosseum, be sure to stop off at a bar for a cappuccino and cornetto. Book your Colosseum tickets in advance. The Colosseum is insanely crowded, and even if you show up before it opens, odds are that you’ll have quite the crowd to contend with unless you’re visiting in the dead of winter. 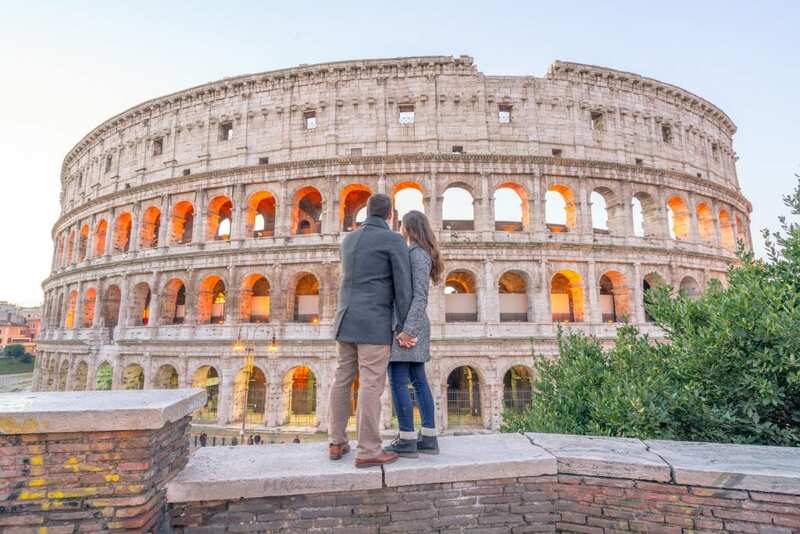 Save time by booking skip-the-line tickets to the Colosseum in advance (the ticket also includes entrance to the Roman Forum and Palatine Hill). We loved this guided tour of the Colosseum and the Roman Forum (having a guide was especially beneficial in the Forum), but when you’re trying to see Rome in a day, think long and hard before committing to a detailed tour–I’d recommend only booking one if you’re extremely interested in Ancient Roman history and are willing to commit a solid few hours of your day in Rome to these sites. If you want to enter St. Peter’s Basilica or the Pantheon, dress appropriately. Since you’re trying to see Rome in a day, dressing appropriately for the entire day will make your life easier–but if you’re visiting Rome in the summer and it’s simply too hot to walk around with your knees and shoulders covered (seriously, Rome is sweltering in the summer), opt for a longer dress/skirt/pants and then throw a scarf or light jacket into your day bag to throw on. With only one day in Rome, odds are that you won’t have a hotel room available to you to store your things for the entire day. If your hotel can’t hold your luggage for you free of charge, consider storing it at Termini, making it easy to pick up on your way out of Rome as you’re heading to the airport (or elsewhere by train). Shop affordable luggage storage in Rome today! Carry at least a little cash. 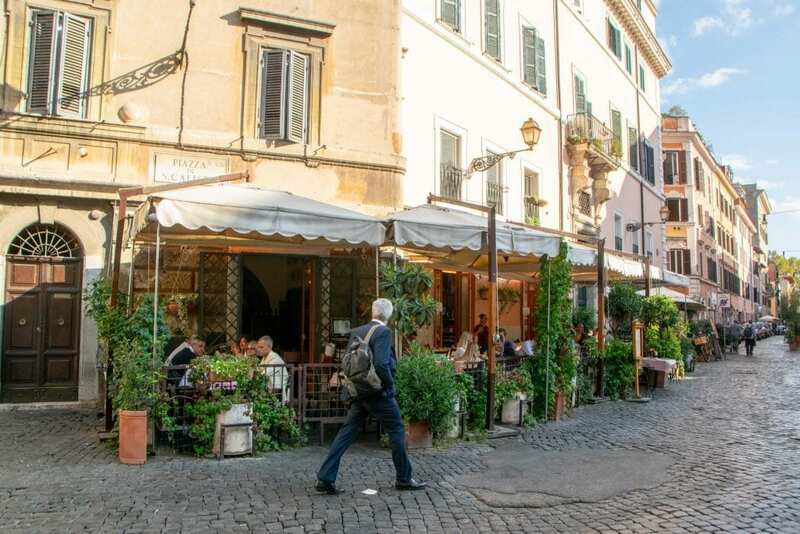 While you’ll be able to pay for most tickets and major meals with a card if you prefer, Rome is still, generally speaking, a fairly cash-based place. For small (but essential) purchases like espresso and gelato, you’ll want to have cash on hand. Before gettings started, note what time the sun sets. Obviously, you can still experience Rome at night, but for classic sightseeing during the day, knowing when the sun is going to set will help you plan your day, gauge how quickly you’re moving, and decide whether or not you need to keep moving at any point or if you have time to take a break/climb the dome at St. Peter’s/take a detour to check out something beautiful. Summer visitors definitely have the edge over winter visitors here, but never fear–the smaller crowds mean that if you’re trying to see Rome in a day in the winter, there are advantages to that, too!